Run With Us. Run With A Group. 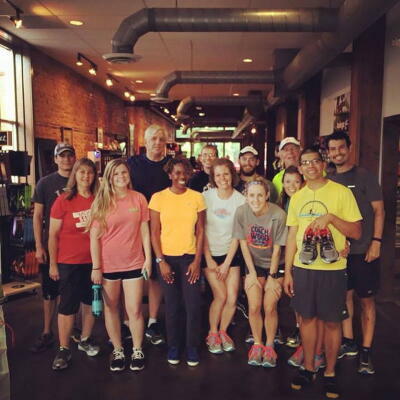 Fleet Feet Sports Lawrenceville - ﻿Join us every Wednesday night at 6 pm for a 2-5 mile run/walk from the Lawrenceville store. We offer a fun, welcoming group atmosphere for everyone and anyone interested in joining in. We often have demo runs, themed runs and special runs throughout the year. Often, our vendor partners will join us to offer demos of the latest and greatest products in the world of running. You can keep up with the latest run news by liking us on our facebook page or subscribing to our weekly newsletter .